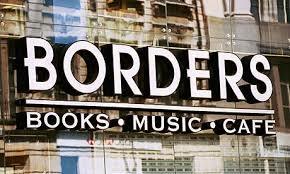 When Borders closed three years ago, newspapers like the International Business Times stated that the reason for lack of profit was that “bookstores had become park-like for many, a place to relax and look.” Active buying, it seems was lacking, especially with the e-book boom, which seemingly made reading far more affordable and space-saving (at least while the boom lasted). Stores like Borders, comprising large spaces in prime real estate areas, simply couldn’t afford to stay open unless they were supported by public funding. Just when all seemed lost for book stores, however, a new trend began: the rise of the independent bookstore, some in areas like Manhattan’s Upper West Side, described by Head of Global Strategy at Envestnet, Zachary Karabell, as a former “retail book desert”. The phenomenon led the New York Times to declare, “Print is not dead yet—at least on the Upper West Side”. The American Booksellers Association, meanwhile, notes that the number of independent books stores has risen by 20 per cent. Karabell notes that Borders and Barnes & Nobel failed on two accounts: they sold shares publicly (which forced them to pursue high profits) and they aimed for high growth (innovation, disruption), which forced them to compete against Amazon. In fact, they should have specialized in fulfilling the demands of selective audiences, as independent bookstores have been doing so well. A focus on children’s and young adults books: Many parents are discouraged by news reports stating that in the US, children spend up to 90 per cent of their time indoors, attached to electronic devices such as tablets, Smartphones, etc. Independent book stores are attracting these markets through incentives such as teen book clubs and the sale of both new and used books, which appeal to parents keen on fostering a love of reading in their children. Wine bars: ‘I Know You Like a Book’, a small book store in Peoria Heights, Illinois, is an example of an independent book store that is seeing a rise in customer numbers and in sales. Store owner, Mary Beth Nebel, told the press that she believes it has something to do with the unique sensation offered by books, but she also prides herself on her store’s ‘unique spirit’. ‘I Know You Like a Book’ has a wine bar, the meeting point for book clubs and an ideal venue in which to share a love for books with new people. Other stores are offering coffee and healthy treats, a major trend for indie shops across the U.S. Focusing on Local books: Books specializing in local subject matter make great gifts, with independent stores reporting that they sell especially well during the holiday period. Independent book stores are an excellent venue in which to highlight local authors and subjects. Profiting from Hachette books: The current Amazon-Hachette dispute means that independent book stores are able to offer low-priced Hachette books, since Amazon is currently offering no discounts on these books. Getting people together: Independent book stores have tapped into the power of books to bring people together, by offering workshops, classes and author reading events, not only at the store itself but in community venues. Language book stores: The French Embassy’s Albertine Books, which shares two floors of the Beaux-Art Payne Whitney mansion, has tapped into the demand for a dedicated French book store, containing everything from fiction and non-fiction work to graphic novels, kids’ books (in English and French) and more, at prices “as reasonable as they are in France”. The new store will also be a meeting point for those learning French, featuring festivals and conversations in French on literature and science. Well curated content: The profound knowledge of indie book sellers in literature (both old, classic works and new releases) allows them to craft a fine selection of books that appeal to their customers. Indie book sellers are able to tune in to their client’s needs by conversing with them, finding out what type of content they are after and ordering books in accordance. The pressure for a high turnover faced by companies like Borders meant that their focus was on new releases, which led them to ignore the constant demand for popular classics from past centuries. Statistics indicate that sales at independent book stores have risen by eight per cent since 2011, their profits offsetting the costs of rent and the purchase and protection of books through stock insurance. Without an excessive pressure to sell, independent stores are able to specialize, offer quality service and adequately protect stock of a manageable size.